The stage at his alma mater was a long way from his humble beginnings in a small South Carolina town, but Howle never forgot how important education has been in his success. With two degrees from Clemson and one from Harvard, Howle became a pioneer in the e-business world and an Atlanta philanthropist. A company he founded in 1983, Harbinger Computer Services, grew to more than 40,000 active customers, 1,000 employees spread across eight countries and annual revenues exceeding $155 million. 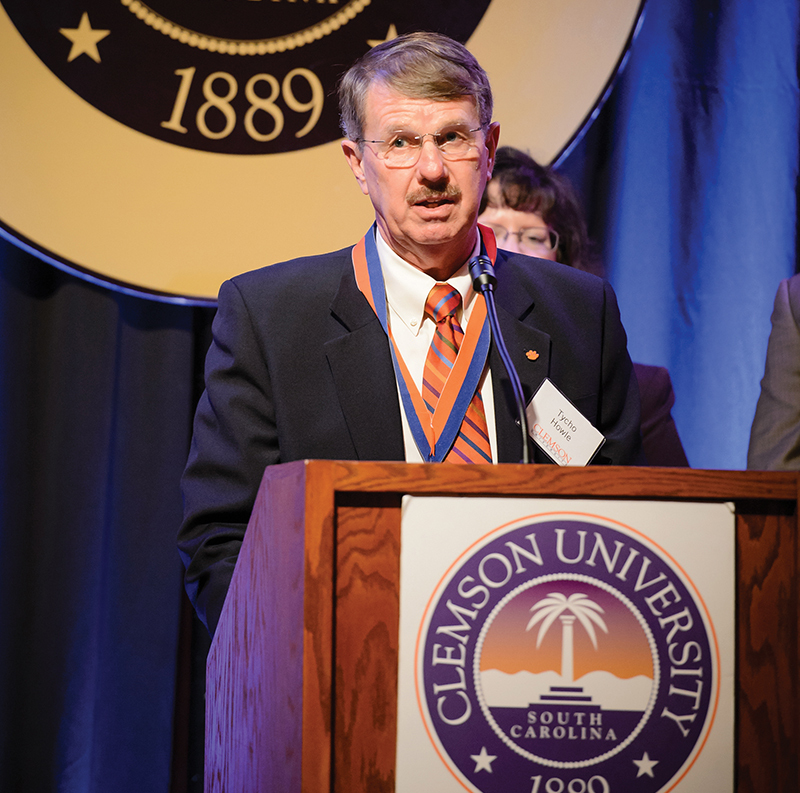 Now retired and living in Naples, Florida, Howle returned to Clemson to help recognize Eileen Kraemer as the C. Tycho Howle Director of the School of Computing. Her directorship was the second endowed chair his family has supported. Howle began life in Lancaster, a small city about 40 miles south of Charlotte. The son of a mechanic and seamstress, he was the youngest of eight brothers and sisters. He played football and ran track and did well on his SATs. He needed to pick a state-supported school and, as a Tigers fan, preferred Clemson. He graduated with honors in physics and went on to get a master’s degree in systems engineering. After a few years at the consulting firm Booz Allen Hamilton, Howle went to Harvard Business School for a master of business administration. “When someone is given a lot, it seems to me that you’re also responsible for giving back,” he said. “It seems the more generous we have been, the more good fortune we’ve had in our life. Some might think that a cliché, but in our case it’s true.